Starting a business might seem a difficult thing to do, but for Kiran Tuljaram, it runs in the family. Working part time as a lecturer, Tuljaram spent seven years as a stay-at-home mother before she decided it was time to re-enter the workforce. She found it difficult to get back in, and was faced with frustrating questions about her ability to cope with the workload. Put off by what she experienced, she returned to her previous employer, a bank, but found that things had changed. “I was there for about two years but the entire banking industry had changed, it was an entirely different animal. In fact, banking legislation had also changed. Settling in was not very easy, and neither was being a mum with three schoolgoing children. But I took it in my stride,” Tuljaram says. Eventually, the quality of the time spent with her children and her health began to deteriorate, so she decided it was time for something new. Taking a short holiday, Tuljaram began brainstorming ideas for what she could do. Noting that she was creative, artistic and had so many talents, she looked for something shoppers might need. “I went to the market and looked at what I could do, and what gaps I could fill. And then I said, ‘I’m going to make clutches’. Because even I have some difficulty finding clutches when I go out,” she says. Before Tuljaram could change her mind, her husband formed the company, prompting her to start looking for artisans to work with. Finding the right people to work with proved to be harder than she anticipated, so she started looking outside of Malaysia. “Getting the quality, workmanship and finishing was the challenge I was facing. Because everyone has a different perspective on a product and about the finishing … When I started Elevate, I wanted to use this platform to empower women and so I started looking for women bag makers. The people I work with abroad are women, they may engage male bag makers, but my frontliners and the people I deal with are all women,” she says. Roping in her lawyer husband to come up with the branding, the couple decided to name the business Elevate. “I told him that it has got to be big and bold, and clean and crisp. That is exactly how my products are as well, they should always stand out. So when you look at our brand you know exactly what you are buying,” she says. 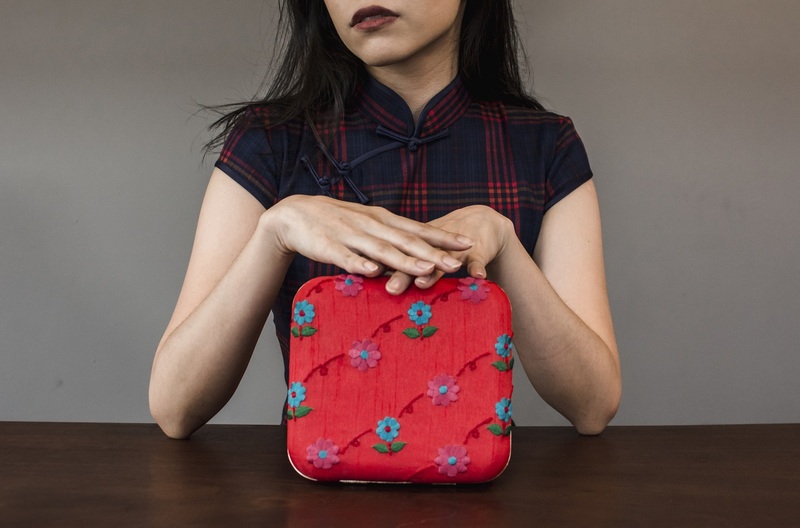 Elevate sells handmade clutches designed by Tuljaram, made with premium fabrics such as suede, raw silk and velvet. “Embroidery is our forte and handmade is our unique selling proposition. It is all handmade, all independently made by skilled artisans. And, of course, good quality fabrics,” she says. 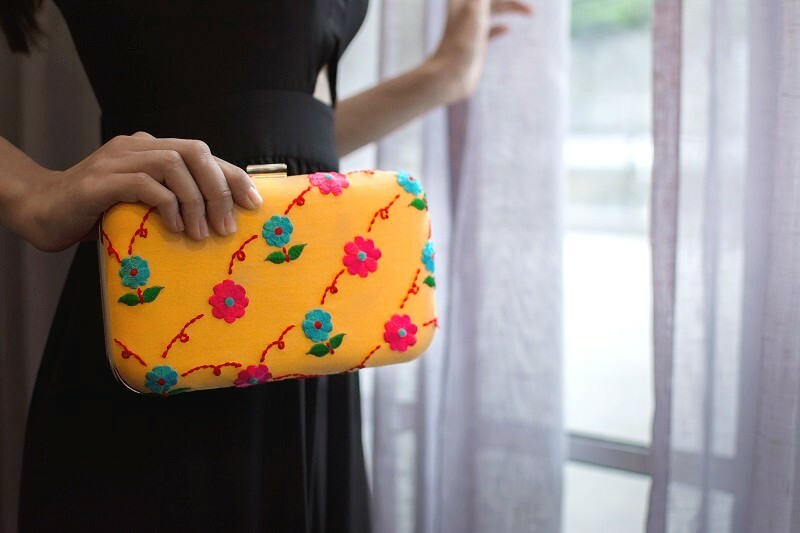 Inspired by bold colour and floral prints, Tuljaram designs the bags and takes the fabric to the artisans to embroider. 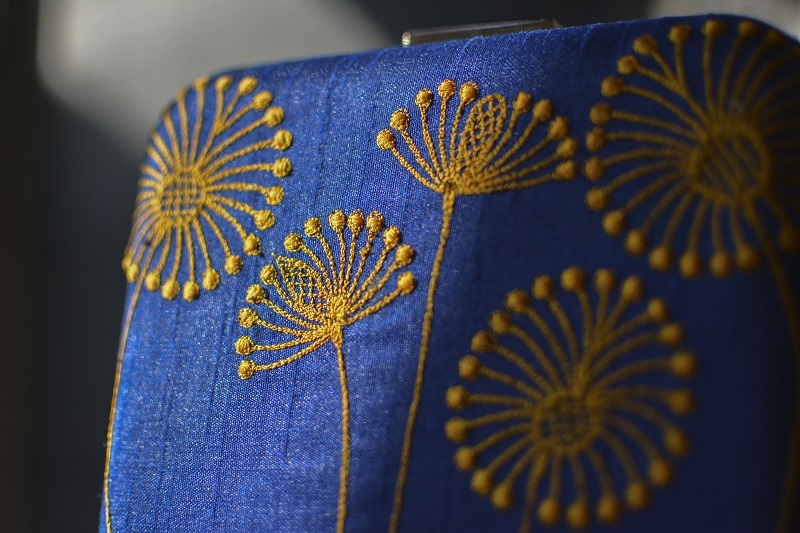 When this is completed, she takes the embroidered fabric to a bag maker to create the finished product. Elevate was registered at the end of 2016, its website was launched the following year. 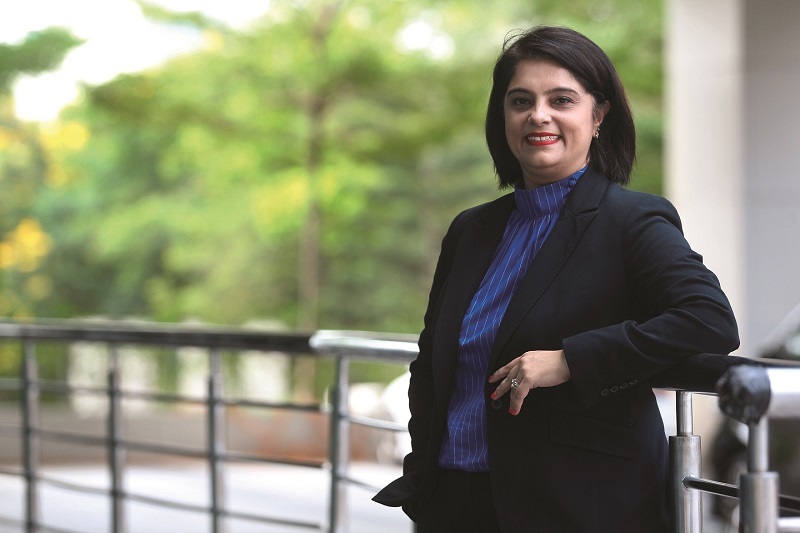 Tuljaram quickly realised that a bricks-and-mortar presence was necessary, so, after approaching Robinsons department store, her products were rushed in time for a Christmas launch at The Gardens Mall. Last year, on March 8, Elevate was one of the main sponsors of an International Women’s Day event held by the Ministry of Women, Family and Community Development. It was here that the company was approached to be part of a runway show at New York Fashion Week. Just over a year old, Elevate had its Dazzling.Vibrant 2019 collection on the ready-to-wear runway at NYC Live! @ Fashion Week. In the future, Tuljaram hopes to open her own store and set up a manufacturing plant, employing women. “I like the artistic and the creative side ... this keeps me going. Every single day there is a development. Of course, maybe it is the way I was raised. I don’t ever want to give up, maybe I am kiasu that way. I will never say die, I would put on my gladiator suit and say ‘What now, bring it on’,” she says. This article first appeared on Apr 1, 2019 in The Edge Malaysia.